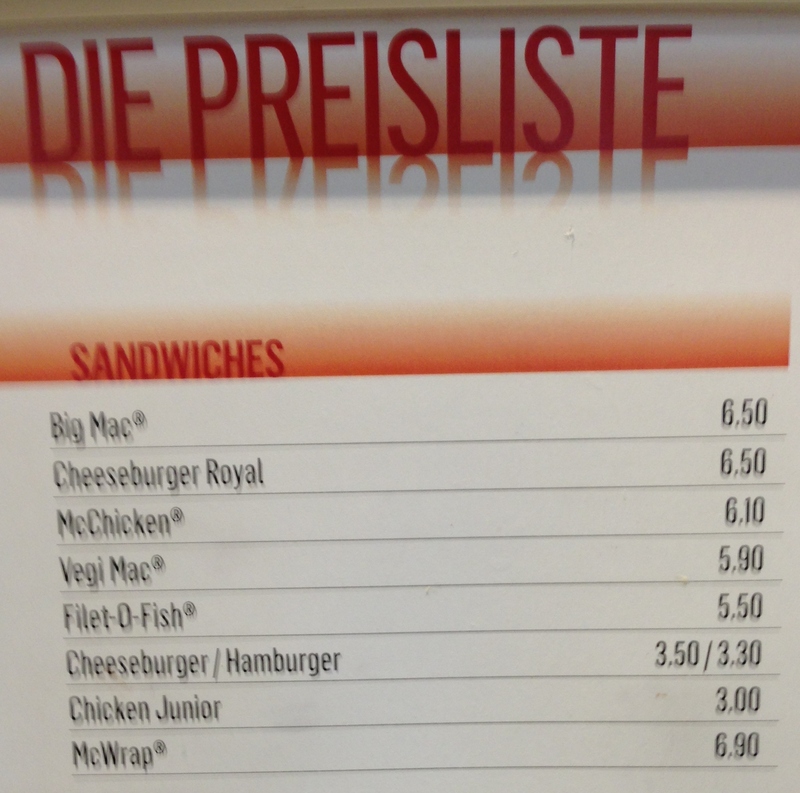 Here’s a price list at the McDonald’s on Barfusserplatz in Basel on the day of the BIS annual general meeting one year ago and today. 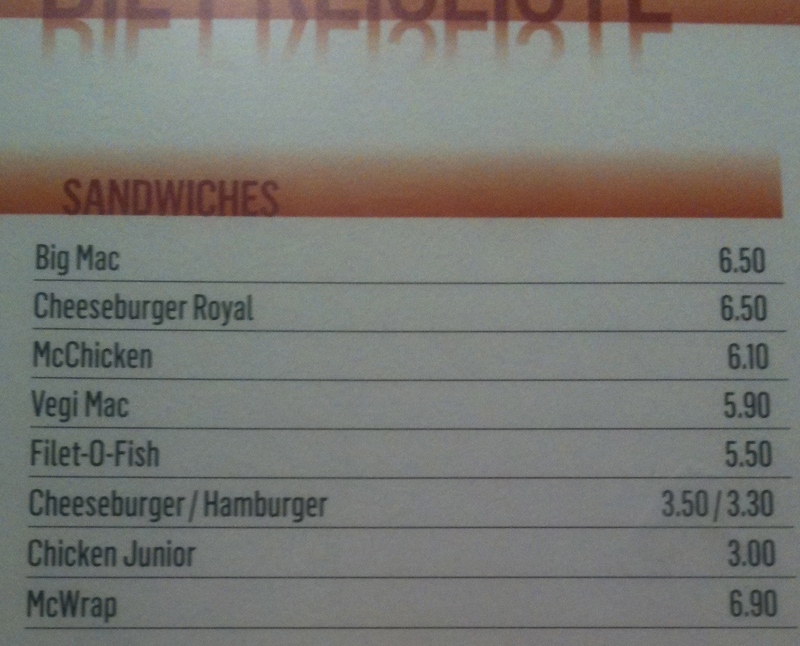 Big Mac cost 6.50 Swiss francs on both days. Now that’s price stability. At an exchange rate of 1.07 US dollars per Swiss franc that’s $6.96! It would be even pricier in foreign currency without the Swiss National Banks’s minimum exchange rate policy which keeps the franc from becoming even more overvalued.